Cary, NC – The coffee craze has hit the South with so many Northerners and Pacific Coasters joining our towns. And who doesn’t love a little something sweet to go with an excellent pour-over or Cappucino? 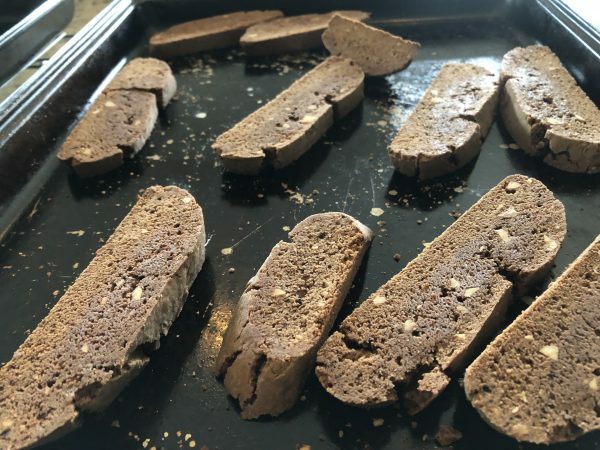 Here’s an easy recipe for biscotti that we made recently; simple ingredients and cooking methods, and you don’t have to be from Italy to make them. 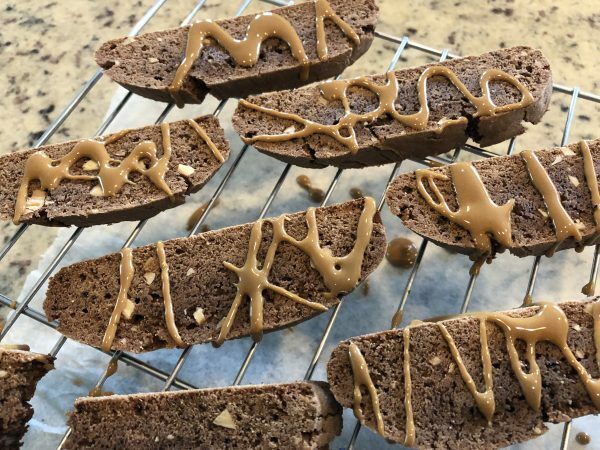 The first thing we noticed about this recipe is that aside from needing instant coffee crystals, we have all the ingredients on hand every day. That means, with some icing or flavor adjustments, we could probably make these at least once a month to keep our adult cookie jar full for those mid-afternoon coffee breaks. Assemble all your ingredients before you start to save on time. Then, beat the butter in a large mixing bowl with an electric mixer on high speed for 30 seconds. Add in the sugar, coffee crystals, baking powder, cinnamon and salt. Bat until well combined. Beat in the three eggs until well combined. Beat in the cocoa powder and as much flour as you can using the mixer. When it gets too stiff, switch to a wooden spoon and then stir in the nuts. 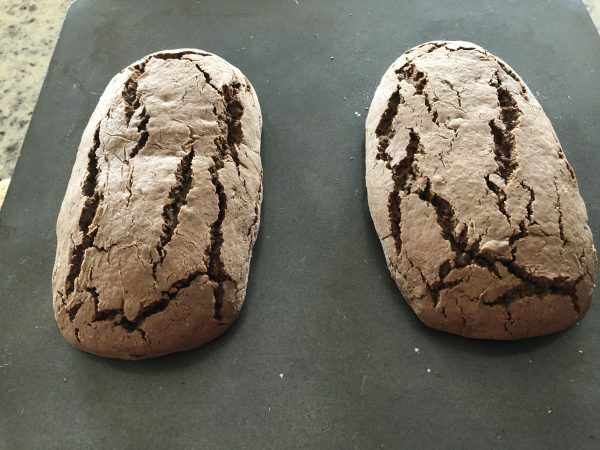 On a floured work surface with floured hands, shape the two halves into eight-inch loaves. 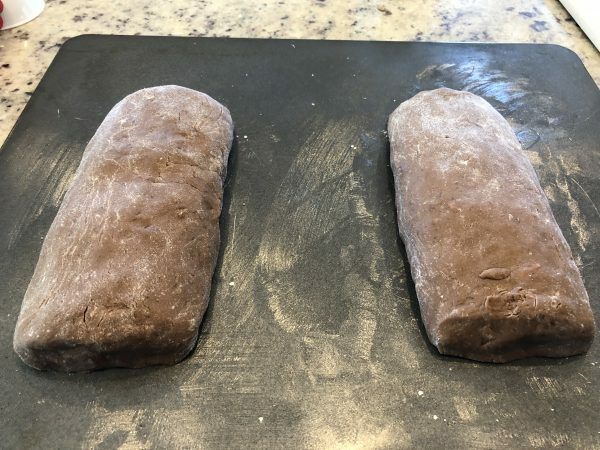 Place each loaf five inches apart on a lightly greased baking sheet. Flatten the loaves to be about three inches wide and 1.5 inches tall. Bake for 20-25 minutes or until firm and a toothpick inserted comes out clean. Cool on a cookie sheet for one hour until completely cool. Set the oven to 325 degrees Fahrenheit. Transfer the loaves to a cutting board. Cut each loaf diagonally, into half inch-wide slices. Lay the slices cut side down back on the cookie sheet (You’ll need a second sheet for this step). Bake for eight minutes. Then, remove from oven, and flip the slices over to the other side. Bake for an additional 7-12 minutes until dry and crisp and then transfer to wire racks to cool. Slice the loaves a half inch wide and place cut side down on a baking sheet. 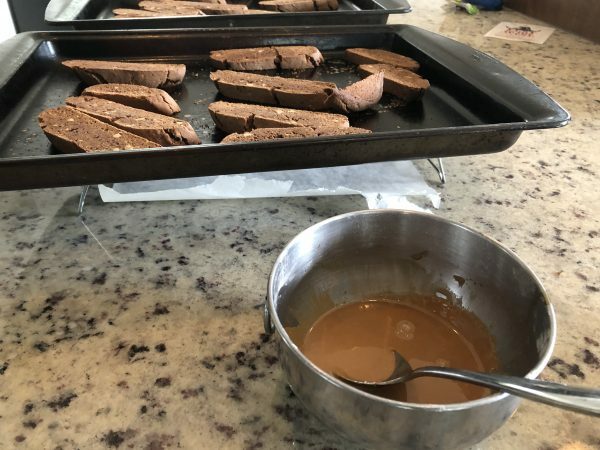 Blend up the Espresso Icing to drizzle over the slices. Dissolve half a teaspoon instant espresso powder in one tablespoon of water (we substituted more of the instant coffee crystals, and it worked fine). Then stir the espresso mixture into one cup of sifted powdered sugar. Add additional water if it’s not quite drizzling-consistency. To store, place in layers separated by waxed paper in an airtight container, covered at room temperature. 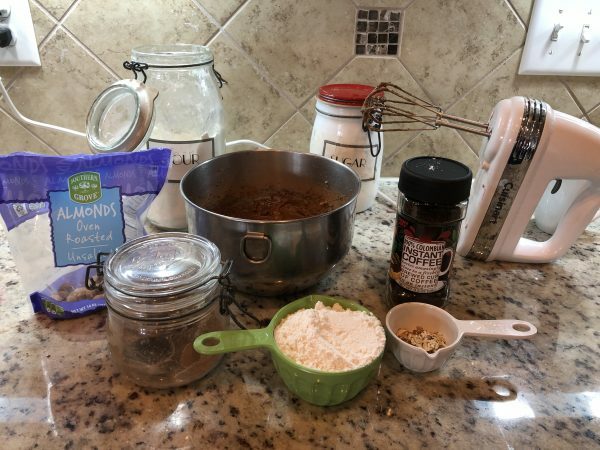 Substitute dried berries instead of the nuts. Try lemon or orange zest in the icing mixture instead of the espresso. Experiment with chocolate chips in the batter. We love biscotti and hope you do too!